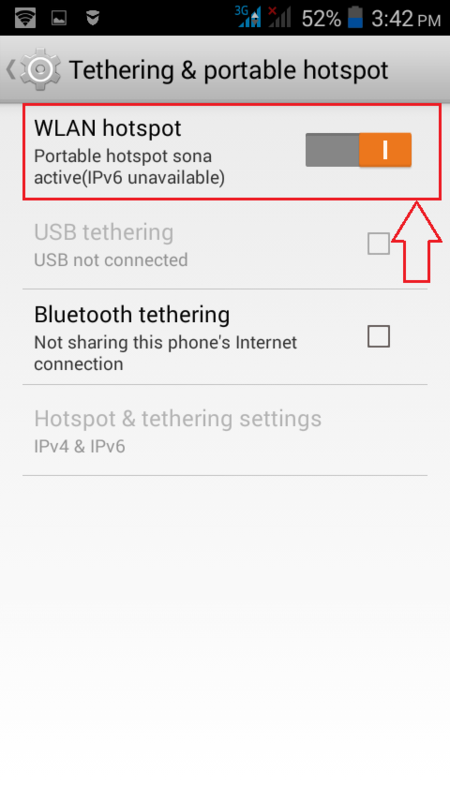 How To Turn Your Android Phone Into A Portable Hotspot:- You are some place far away from your home, having no active Internet connection, and you just can’t live without going online from your laptop. There are no sources of WiFi, nothing. All you have is your Android phone and a working data pack. Oh, did I say all you have? Well, that’s all you need to solve this little problem of yours which apparently appears to be too big. You can easily convert your Android device into a portable hotspot and connect your PC to it. Wondering how? Read on, then. First of all, launch the Settings app in your Android Phone. Now under the tab All Settings, find and click on the option named More. Take the following screenshot as a reference. A new activity for Wireless & networks opens up before you. 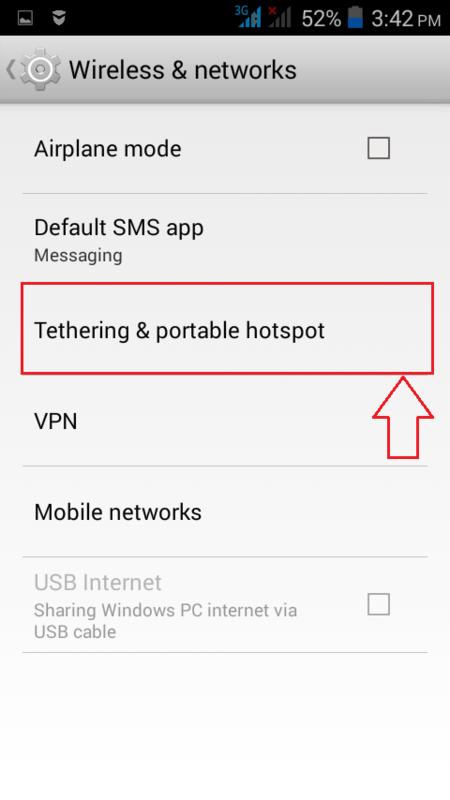 Find and click on the option named Tethering & portable hotspot. Now you need to turn on the toggle button corresponding to WLAN hotspot option to get your WLAN active. The option WLAN Hotspot is clickable as well. 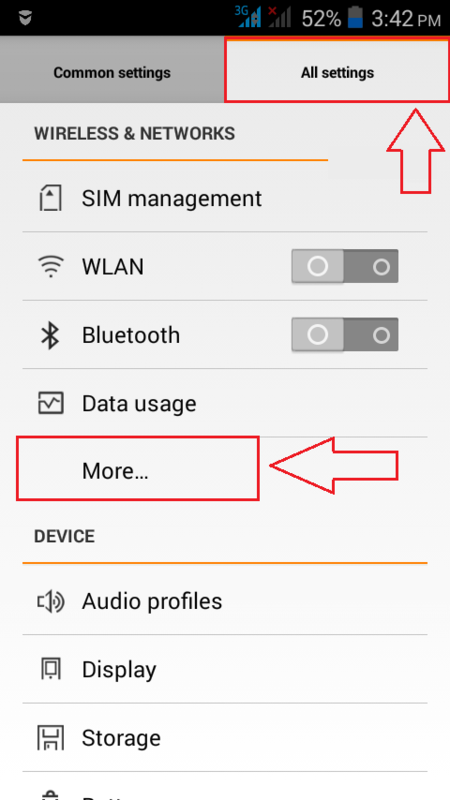 Once you have turned on the toggle button, click on WLAN Hotspot option. 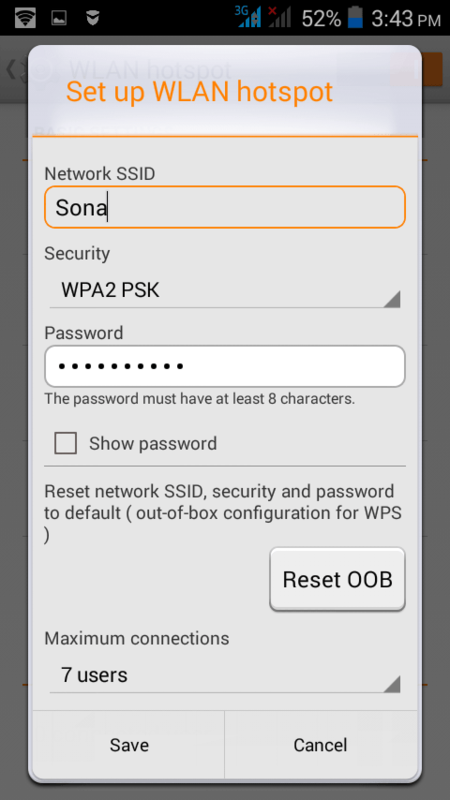 This will open up the BASIC SETTINGS to set up your WLAN Hotspot. 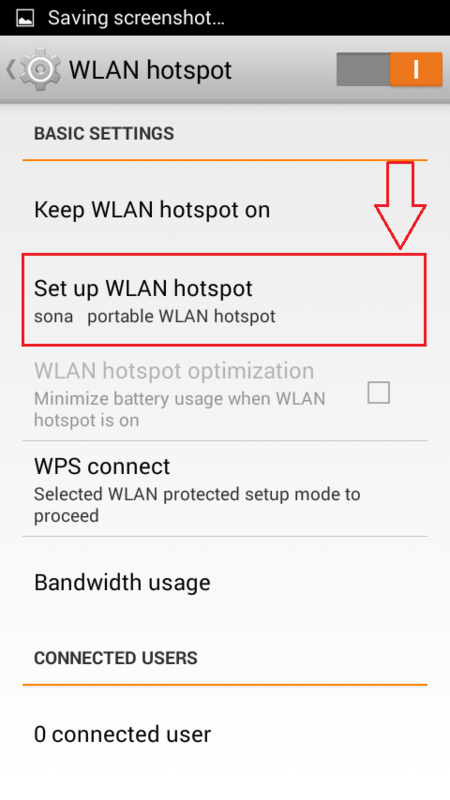 Now under the BASIC SETTINGS section, find and click on the option that says Set up WLAN hotspot. Here you get to name your hotspot, give it a security cover, set up a password and limit the maximum number of connections allowed. Network SSID is simply the ID by which your WLAN Hotspot will be visible in other devices. You can give a name of your choice in this field. As next, select the authentication method of your choice from the drop down menu of Security. You can set a password for your WLAN Hotspot using the field Password. 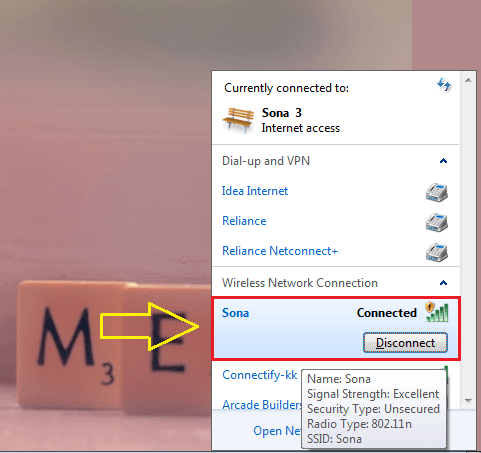 You also have the authority to limit the maximum number of connections that can connect to your WLAN Hotspot. Once you are all set, click on the Save button at the bottom of the page. Now you need to open your PC and look for the WLAN network that you just created. Once you locate it, you can connect to it by simply clicking on the Connect button and then by giving the password. Once a device gets connected to your WLAN Hotspot, you will be notified about the same. 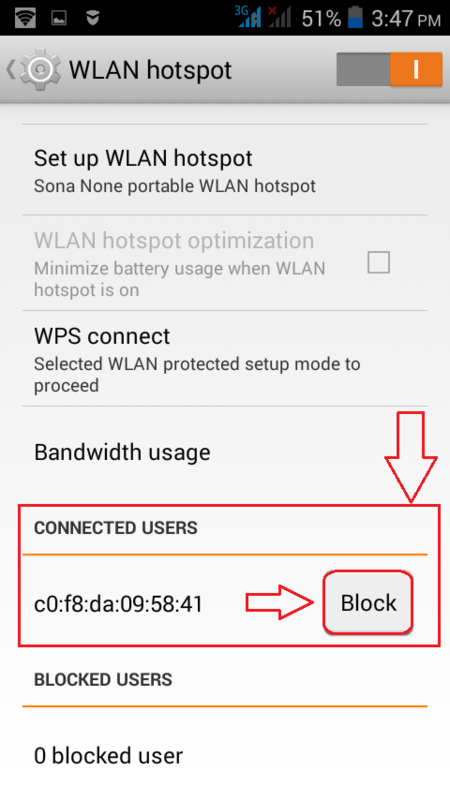 You can always block a connection using your WLAN settings as shown in the screenshot. So now even if you are going to the smallest corner of the world, if your phone can connect to the Internet, so can your PC. Turn your Android phone into a hotspot today itself. Hope you found the article useful.